Just Like Tim “The Tool Man” Taylor (remember him? 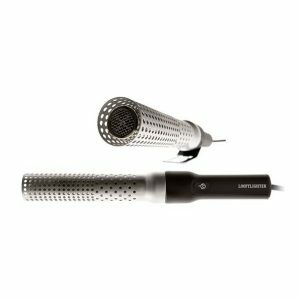 ), I’m always on the lookout for cool grilling gadgets with “More Power.” That’s how I came across the Looftlighter 70018 Fire Lighting Tool. I recently upgraded from using Weber brand fire starter cubes and man what a difference. Not only am I a sucker for the latest and greatest when it comes to technology, anything that could get me eating BBQ faster is high on my list. Combine this with the ability to avoid any smelly chemicals soaking into your food associated with most fire starter techniques and you’ve got my attention. It’s great that this product is so Eco-friendly. I mean seriously, my old lighting method clocked in at about 20-25 minutes from the time I lit my coals until I could put my food on the grill. The Looftlighter? I’m grilling in less than 10 minutes. I think back to all those wasted hours where I could have been eating mouth watering BBQ with my family and realized something; I’m never going back to fire starter cubes again. And the coolness factor! Wow, let me tell you. Using the Looftlighter 70018 Fire Lighting Tool makes you feel like you can conquer any BBQ challenge. My neighbor even poked his head over the wall and had to come see what I was using to light my grill. We spent a good 45 minutes talking about it. I even had to load up my mini grill with charcoal so I could let him give it a try. Going from newspaper or fire starter cubes to the Looflighter BBQ starter is like going from a flip phone to a smartphone. What an upgrade! It lights a lot faster, and you don’t have to deal with the wind or worry about your fire going out. Because they need to be plugged into an electrical outlet, they are not very mobile for say, camping, and tailgating or the like. But you won’t have to worry about charging the battery or refilling a propane tank like many of the other options on the market. methods and my family couldn’t be happier getting dinner on the table that much quicker. This tool is not a light it and forget it option like a charcoal chimney starter or fire starter cubes. You actually have to hold the power button down for the duration of the light. At about only two minutes, it was not a big deal and the convenience of being ready to cook that much faster was a big plus. Not having to transfer hot coals from a chimney starter to the grill and not having to worry about having matches or a lighter on hand is convenient too. There is no need for lighter fluid, match light type charcoal or lighter cubes which all have harmful chemicals that can be absorbed into your food. The Looftlighter 70018 Fire Lighting Tool is Eco-Friendly using just hot clean air. So far I have found the Looftlighter to be a sturdy and well-made gadget. I can’t speak first hand on longevity as I have only owned mine for 3 months. But I have ready many reviews where people are saying theirs is 5 plus years old and still going strong. On the flip side, I have seen a few reviews stating that their Looftlighter stopped working after only 6 uses or so. Those reviews all seem to be older so hopefully, they have ironed out that bug. Not having a direct flame, I have always felt quite safe using my Looftlighter. It is as easy as pointing and pushing down the power button. The handle is long enough to where your hand is far enough away from the heat and flames to not be an issue. I would suggest always wearing a pair of good heat-resistant grilling gloves while lighting your coals. There is always the chance of a hot spark landing on your hands. 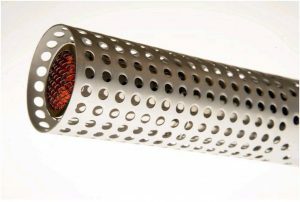 The heat shield is made from aluminum so it cools down quickly. Having to hold down on the power button the entire time is actually a built-in safety feature. This way you can not start it, set it down and forget to check on it causing it to overheat. The Looftlighter 70018 Fire Lighting Tool stacked up very well to all my needs and added an additional cool factor to the mix. Lighting my grill with “More Power” (Grunt, Grunt, Grunt) has made me a happy man. The only gripe I have is that I don’t have an electrical outlet close enough to my grill so that I have to use an extension cord to use the Looftlighter. It is really a small inconvenience when you compare it to how easy it is to use and time saved. Bottom line, Yes, it initially cost me a little more money but I will save money in the long run for not having to continually buy other fire starting alternatives. For me, the extra cost is more than made up for by the safety, speed and added convenience. My always hungry and impatient family agrees too. 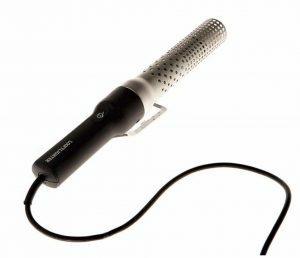 Would I recommend the Looftlighter 70018 Fire Lighting Tool? That would be a Yes for this product! If you have any questions about The Looftlighter Review or want to leave one of your own, leave a comment below. 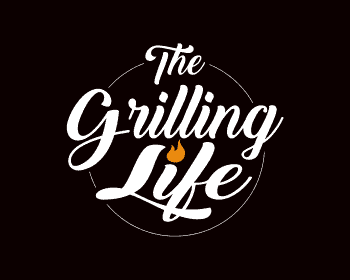 I hoped you found this review helpful and you are one step closer to joining me in “The Grilling Life”! Awesome review of the Looftlighter! This is a gadget I am going to get for my husband for Father’s Day. You say you have to hold it down for the duration of the light, does that mean if we use it for starting a fire, we don’t need fire starter logs or what have you to start the fire, just to hold this until the logs ignite? 2 minutes is awesome if that is the case! So glad yo found this review useful. It really is a great gadget for starting fires of all kinds. You won’t need firestarters anymore. They work well for wood also. Great review. Like yourself, I too love to BBQ. After reading this review, I will be looking into one of these come the spring. Until then, my Barbecue is frozen, being in Canada. Do you know if these are available in Canada as well as the U.S.? It’s great to hear from another BBQ enthusiast, Tom. Did you know that the Looftlighter is great for starting wood fires too? It can work for home chimneys and fire pits as well so you don’t have to wait until Summer to get use out of it. I also checked on Amazon and it is sold in Canada as well. Let me know how you like it when you do get the chance to purchase one. Great review. I use charcoal because I don’t like the gas grills but am always put off by the smell and sometimes taste if I use too much lighter fluid or try to cook too quick. This sounds like a great option! The only thing is the video says be cooking in sixty seconds and you said 10 minutes. Quite a spread. Is there a reason what you’re doing is different? Great question Dennis. Although the Looftlighter will have your coals lit and flaming within a minute in most cases, I prefer to close the lid with the vents open at that point and let my grill come up to temp slowly. It’s almost always better to start cooking after you have a hot grill and grates. I also like to let the fire have the chance to spread to all the coals and become a little ashed over for a nice and even heat distribution. This usually takes me 7-10 minutes depending on the weather. This will allow for your food to cook more evenly. So while it is possible to start cooking right away as the video claims, you will get better results if you give it a little time. But even at 10 minutes or less, that is still a lot faster than my old method. Hope that makes sense. If not, send me a message and we can discuss further. Hi Patrick, this is the kind of gadget that I would have always dismissed had I not read your review. I think you had me at 1,256 degrees – that’s crazy! More than anything else, if this gets your coals ready in 7 minutes like you say, then I’m sold. I live in the UK where you are lucky to get more than 7 minutes between rain showers so anything to speed up prep time is a winner for me! I noticed you mention it is not cordless, for me this is a bit of a challenge given I normally grill at the bottom of the garden away from the house – are there any quality alternatives that are cordless? Great blog as always, thanks buddy! There are definitely alternatives out there that run off of butane or rechargeable batteries. Just by doing a google search you should be able to find several. One of the better cordless options I have seen is the Bison Airlighter. It is USB Rechargeable and has a Refillable butane fuel tank. A smaller portable option would be nice for campouts and the like. Thanks again for stopping by Mike. So, I’m not the BBQer in my family; my husband is! I think you’ve just identified his birthday present this year 😛 Thank you for sharing this, I’d never heard of this thing!! Your husband is a lucky guy to have you. I’m glad I was able to help. This is really amazing! I simply hate using lighter liquids and other chemicals to get the grill going. I shudder to think about all those poisons ending up in my food, but lighting the coal using natural methods takes so long time. I wonder, can you use this if you choose to heat your grill with wood? We do that sometimes when we want to make smoked fish. 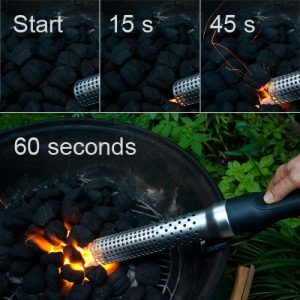 It really is a great tool for lighting your grill. The good news is, it works great when lighting wood as well. I use it for just about every fire I build both indoors and out. It is a convenient and fast alternative. Great, thnx. I will probably order one. Very neat idea! I wonder if the wife could use one for a curling iron?! Just kidding but seriously this is a quick convenient way to get the grill started up. I will admit that I take way longer than necessary to light my own grill just so I don’t have to cook the rest of the meal and my wife ends up doing the rest of the meal while I am “slaving away ” on the grill in my lawn chair! I will consider getting this gadget because it is cool but I won’t show it to my wife, haha more relaxing time! You are a man after my own heart David. I can’t tell you how many times I have slowed down a cook just to get a little more “me” time outdoors. It is very handy though for the days you just can’t wait to get the food on the table.